Hello, I’m interested in 510 West Arlington Place and would like to take a look around. 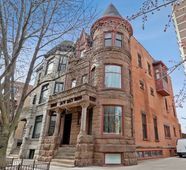 The details on 510 West Arlington Place: This house located in Lincoln Park, Chicago, IL 60614 is currently for sale for $1,525,000. 510 West Arlington Place is a 4,330 square foot house with 5 beds and 4.5 baths that has been on Estately for 7 days. 510 West Arlington Place is in the Lincoln Park neighborhood of Chicago and has a WalkScore® of 95, making it walker's paradise. This house is in the attendance area of Louisa May Alcott College Preparatory Elementary School and Lincoln Park High School. Listing courtesy of MRED, Keller Williams Chicago-Lincoln Park, and Nicholas Apostal.